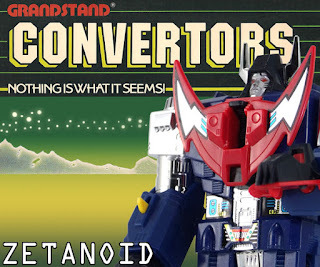 This is the story of the evil Grandstand Convertors. It takes place not in the future, not in some dark and distant corner of the universe, but here and now on Earth. Your Earth! Already these mutants have conquered almost all our galaxy. Yet because they represent a force so evil, hardly anyone has dared admit their existence or speak their name. But now their name must be spoken and someone has to make a stand. That someone is you. Only you can save the Earth. 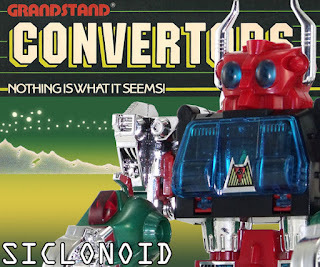 First, you must learn learn to recognise a Convertor when you see one. It's not always easy - one minute they could be a car or a plane and the next...a deadly robot. 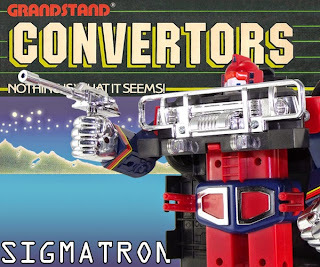 Deadliest of all is Omegatron, Lord of the Convertors and the ultimate mutant. Often he will appear as a tank or a rocket, but don't be fooled - he can quickly convert into a robot of monstrous power. Omegatron has many followers, like Sigmatron and Betatron, and there are many battle machines in support too. Like the Deltarian Fighter which is capable of converting into over 16 different forms. 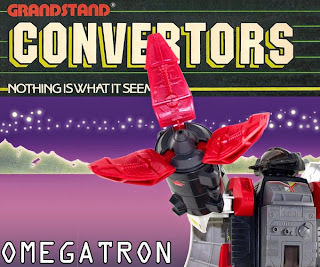 If you manage to capture a Convertor its power will pass on to you. 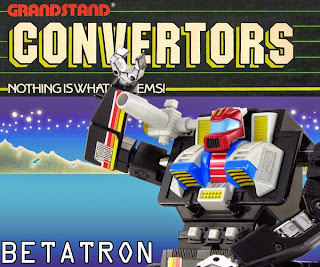 You can then use it to defend the Earth against other Convertors. But watch out, they're sneaky that it may just change into something you can't recognise and slip out of your control again. So stick with it, and be on your guard at all times, because the future of the Earth is in your hands. Above all, remember - NOTHING IS WHAT IT SEEMS!